Hand laying your own S #8 Turnouts is not as hard as you might think! Tools and technology designed and manufactured by Fast Tracks now makes it possible for you to build your own high quality, NASG compliant turnouts. With this S #8 turnout assembly fixture, you can build an unlimited supply of turnouts when you need them, at the comfort of your own workbench, in about an hour. 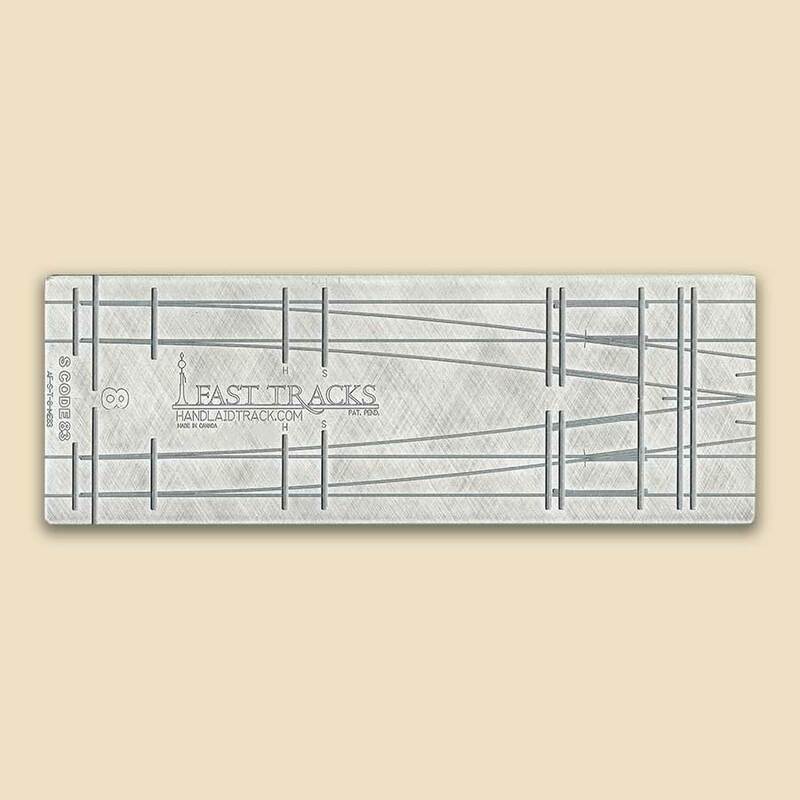 Fast Tracks, the developer of the turnout assembly fixture system, have been producing its line of extremely precise tools since 2003. 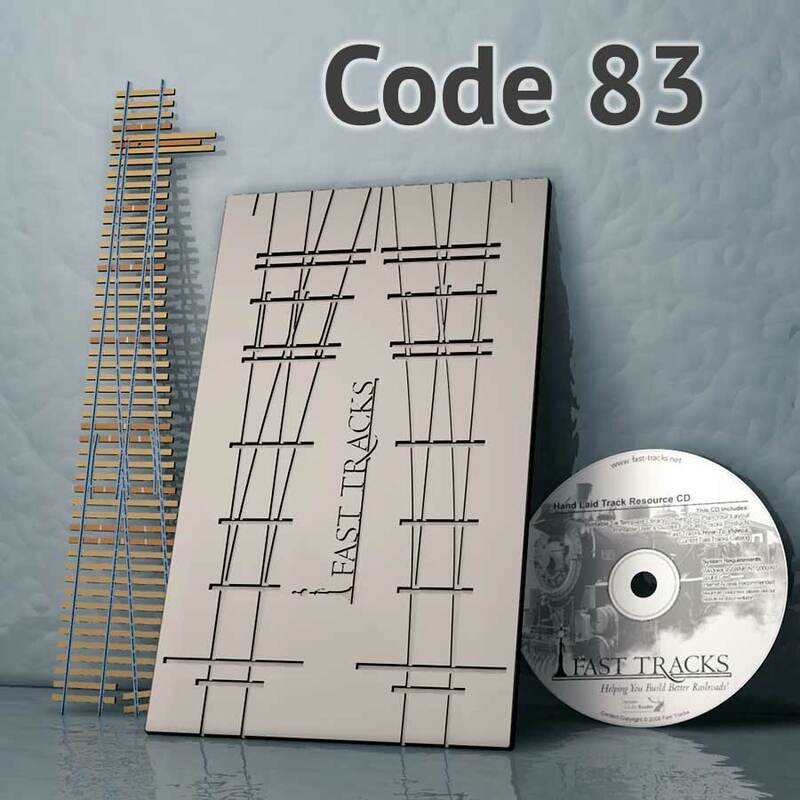 We've worked out all the details to make building trackwork as easy as possible so now any modeler can produce the most precise, best looking and smoothest operating trackwork available. Default Turnout Length 20.01" (508.3mm) This is the length of the turnout on the QuickSticks. Measured from end tie to end tie. Minimum Turnout Length 14.83" (376.7mm) This is the shortest possible turnout length. Measured from the end PC board tie to end PC board tie. Diverging Route Radius 91" (2311mm) The minimum radius in a straight turnout. Substitution Radius 106" (2692mm) The approximate radius that the diverging route of a turnout can be fit into. This calculation was made using the shortest possible turnout length measured from the edges of the PC board ties, not the wood ties.